By John Lawrence. The Primrose Academy, 2002. 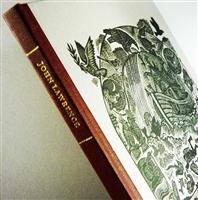 Signed limited edition with wood engravings by John Lawrence, printed from the block.